DURHAM, N.C.—All About Beer LLC, the publisher of All About Beer Magazine, is proud to announce today the forthcoming acquisition of DRAFT Publishing, LLC, the publisher of DRAFT Magazine, www.draftmag.com and other media assets. The combined business, which will maintain both the All About Beer and DRAFT brands, will offer unparalleled scale and visibility to beer consumers across the U.S.
“We are very excited to bring together these two trusted brands that are the leaders in covering the world of specialty and craft beer,” said Chris Rice, CEO of All About Beer. Current subscribers of DRAFT Magazine will solely receive All About Beer Magazine going forward, while DRAFT will continue to build its innovative brand through www.draftmag.com and other digital assets. Bringing DRAFT and All About Beer together provides several new platforms for visibility, as well as expanded opportunities to create and distribute content. Terms of the deal were not disclosed. Since 2006, DRAFT Magazine has covered the world of beer through coverage of beer, food, travel and culture. DRAFT taps into the freshest flavors, unique experiences and emerging trends in beer, plus food, travel and leisure for a 360-degree view of the modern drinker’s lifestyle. What will be done for those of us that subscribe to BOTH magazines? First, thank you for reading! Subscribers to both magazines will have their remaining issues of DRAFT Magazine added on to their All About Beer Magazine subscription. We really appreciate you subscribing and think you’ll enjoy what both DRAFT and All About Beer have planned for the future. When will I get my remaining issue (July/Aug) of Draft mag? I have a Draft subscription through the iPad. The last issue I received was the May 2016 issue. When will get the July issue and how will the remaining of the issues delivered? We were told that Draft magazine subscribers would be contacted (e-mail) regarding the acquisition and when we could expect our issues. I’m still waiting on that. Can you give me an answer? receive final issue/s of Draft & subsequent issues of AAB. So when will Draft Mag subscribers get their next magazine? We already missed July/August and should be getting September/October. Will we receive an extension on our subscription for every missed issue? Hello, all. Thanks for your questions, and happy to clarify if we can. DRAFT Magazine will no longer be distributing its printed magazine, and so the issues sent earlier this summer will be the last. 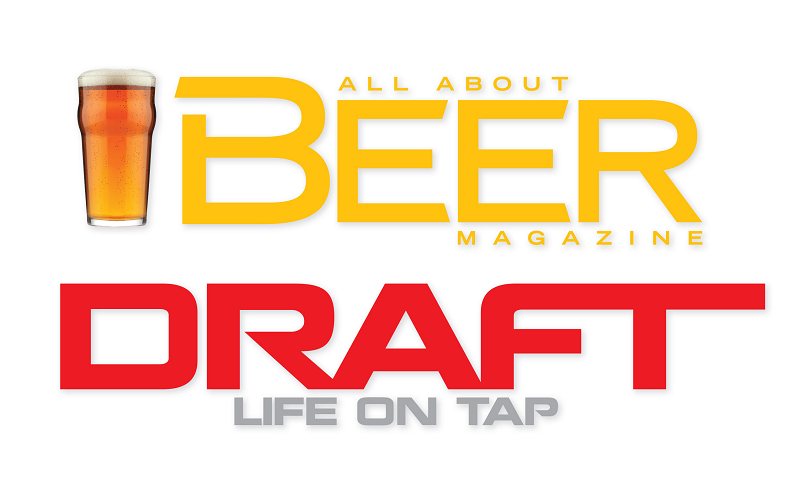 DRAFT subscribers will receive copies of All About Beer Magazine going forward. Our next issue should be shipping in 2-3 weeks. Any remaining issues you had will be added on to your subscription with All About Beer Magazine. You will receive an extension for missed issues. Does this include IPad digital subscriptions? When filling out the subscription form for sending a gift whose info do you put first? It is very confusing. I loved the recipes in Draft Magazine. Will all about beer appeal to the ladies out there? Still haven’t received any notice from Draft nor AAB about missing issues due to merger. In the 9/17 reply in this thread from AAB, it says, “DRAFT subscribers will receive copies of All About Beer Magazine going forward. Our next issue should be shipping in 2-3 weeks.” Well, it’s been 3 week but still no issue from AAB. This is being handled poorly all the way around . .. certainly won’t be renewing my subscription. So, when can former Draft subscribers expect there missing issues? Still waiting on the first issue of All About Beer Magazine. What’s the eta? Everyone wants an update! Send us our issues or refund us. This is ridiculous.